A gift that lasts all year round! 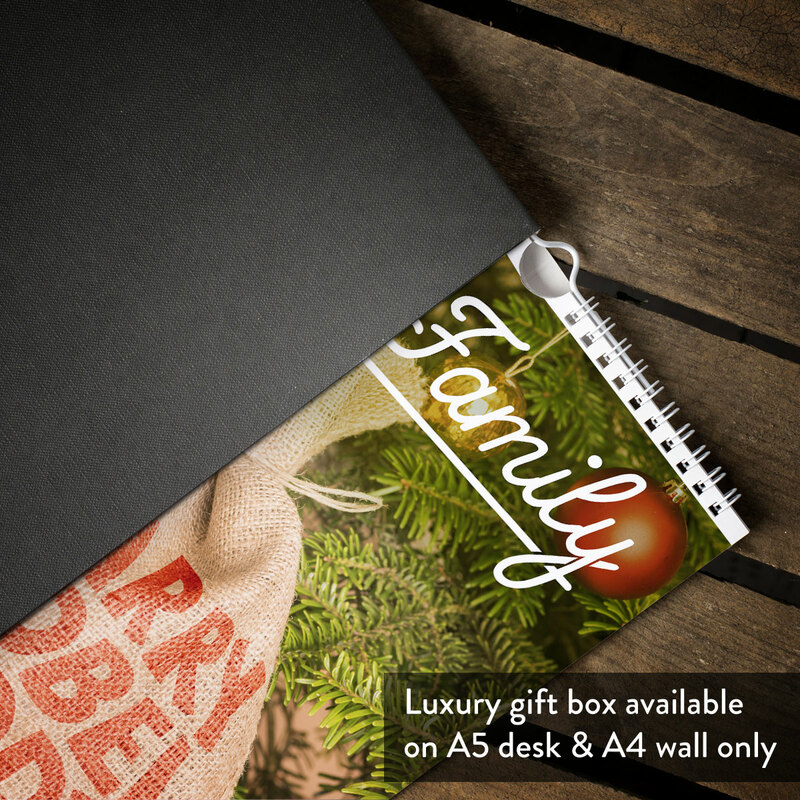 We know that Christmas time is family time! From enjoying a three-course meal, exchanging presents and wearing novelty jumpers, it really is the most wonderful time of the year, right? And when the dinner has been eaten and those special Christmas plates have been washed and put away for next year, it's time to get back to reality (and back to work and school!) 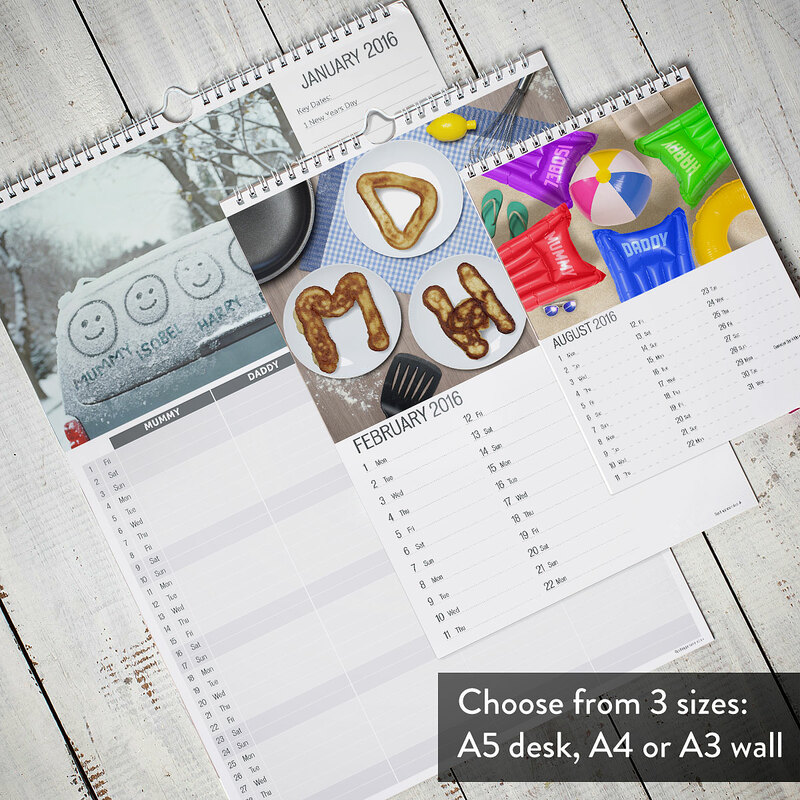 If one of your New Year's resolutions is to be more organised, our personalised family calendar will be a welcome addition to your kitchen! 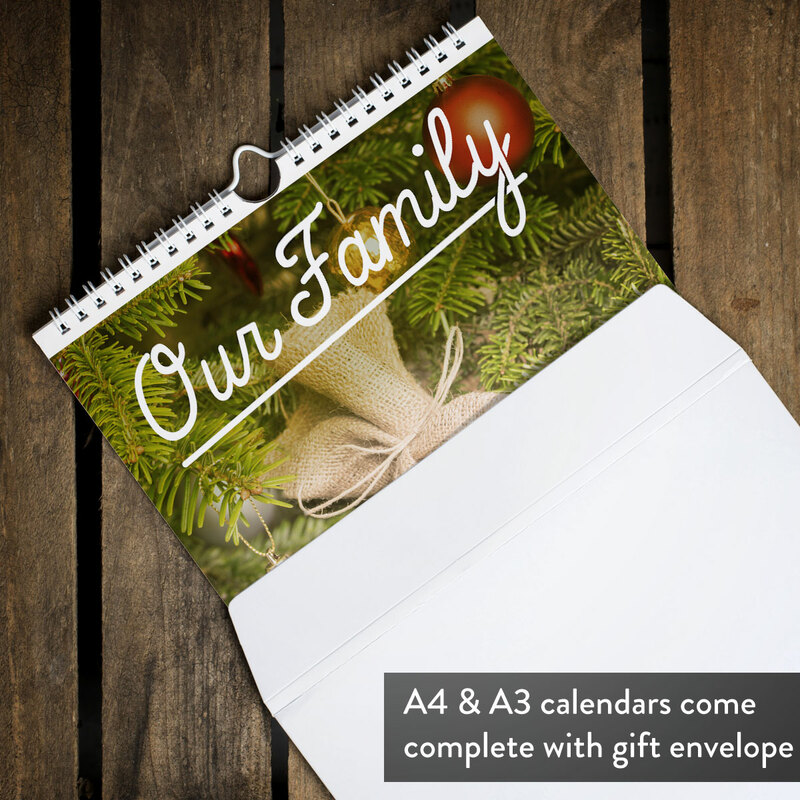 The front of the calendar features a festive Santa sack in front of a Christmas tree and reads 'Our Family' in a white script font. 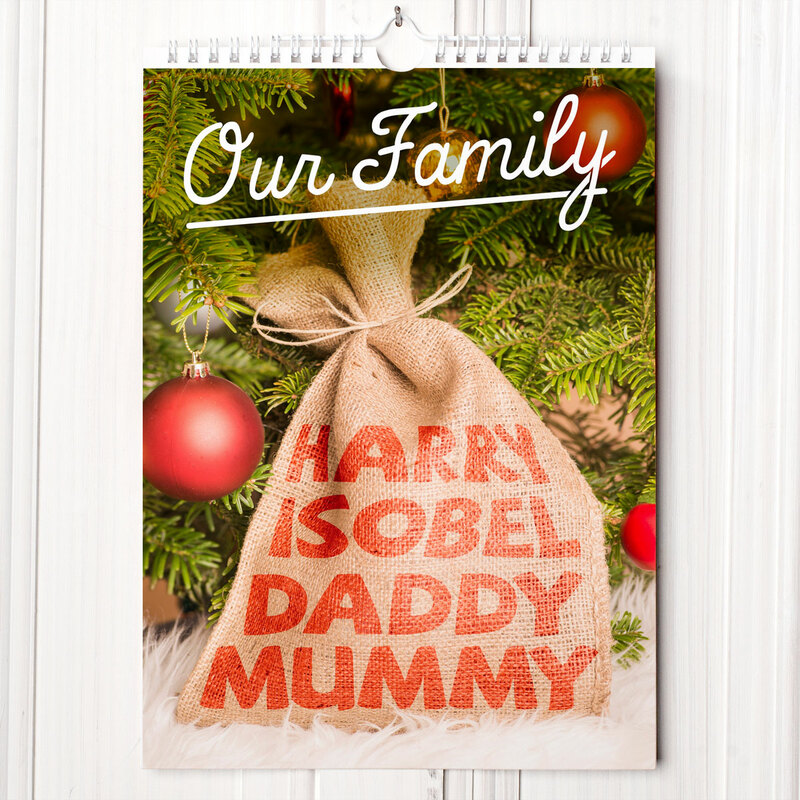 You can personalise the calendar with the names of each family member to be printed onto the sack as well as being incorporated into twelve full-colour images. 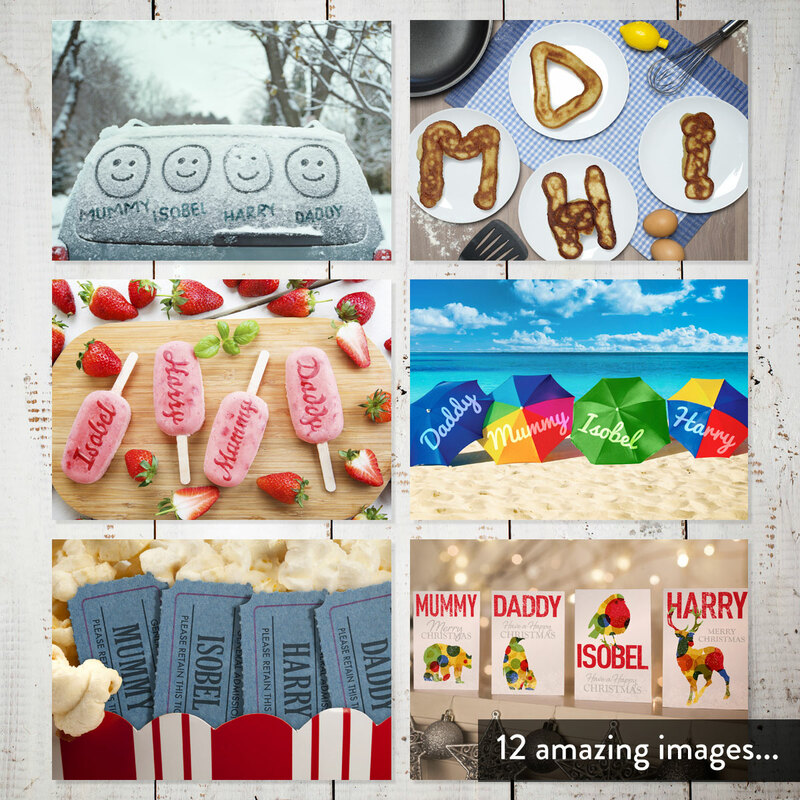 From pancakes made our of your initials, each name written on an ice lolly and even printed onto cinema tickets, there's a different image for every month that's sure to make the whole family smile! 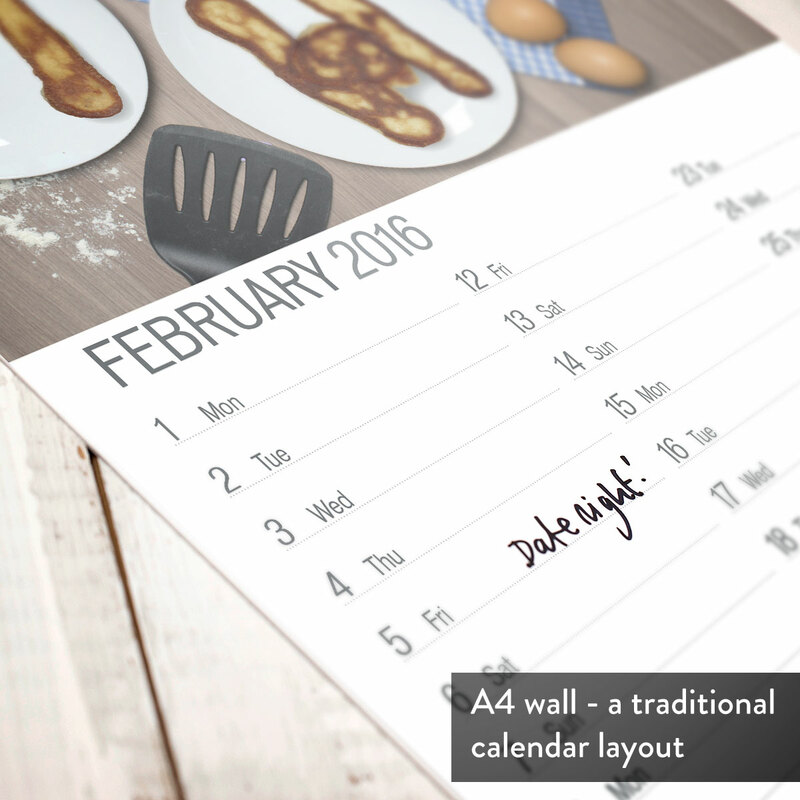 Add play dates, parent's evenings, dinner dates and birthdays, so you can fulfil your resolution and stay on top of your hectic schedule. 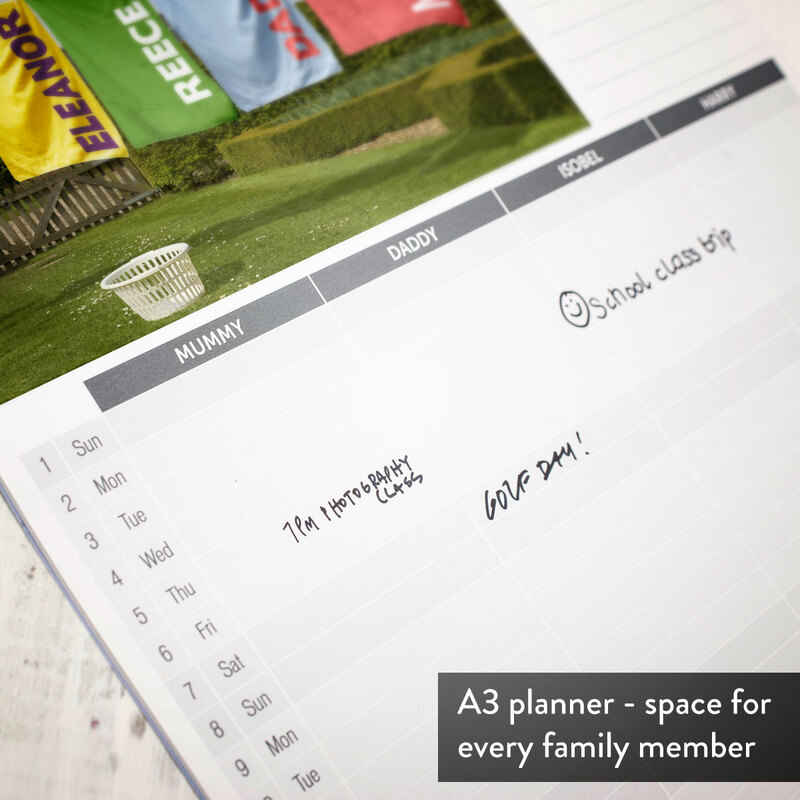 A fun yet practical gift that lasts the whole year!